The Building Industry Association of Central South Carolina (BIA) contributed over $73,000 to local charities and to students in 2018. Donations and grants were made by the Building Industry Charitable Foundation. Recipients were both within and outside of the realm of the home building industry. Donations and grants made in 2018 included Camp Cole, The Therapy Place, St. Lawrence Place, Palmetto Place Children’s Shelter, Reconstructing Home (Transitions), and the SC Autism Society. The Building Industry Charitable Foundation made $55,750 in scholarship donations last year to 43 students. The scholarship program was started in 2000, and the Charitable Foundation has awarded scholarships totaling $579,250. Funds for the Charitable Foundation are raised through events such as the BIA Golf Classic held each year and private and corporate donations. 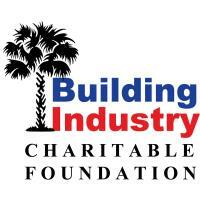 The Building Industry Charitable Foundation, Inc. was incorporated under S.C. law in 1993 as the HBA of Greater Charitable Foundation Inc. under bequest from the Home Builders Association of Greater Columbia, which provided the initial funding. The foundation was established for the purpose of providing assistance to those less fortunate, or otherwise deserving, for the betterment of the community. The Foundation accomplishes its purpose by assisting individuals, programs and organizations in need. For more information contact Earl McLeod, Executive Director, by phone at (803) 256-6238 or on-line at www.BIAofCentralSC.com.